Having treated 10 million animals since its opening, the SNU Veterinary Medical Teaching Hospital (VMTH) has announced plans to extend its emergency care services to 24-hours starting next March. The SNU VMTH plans to rename the operating center the Emergency Veterinary Laboratory. 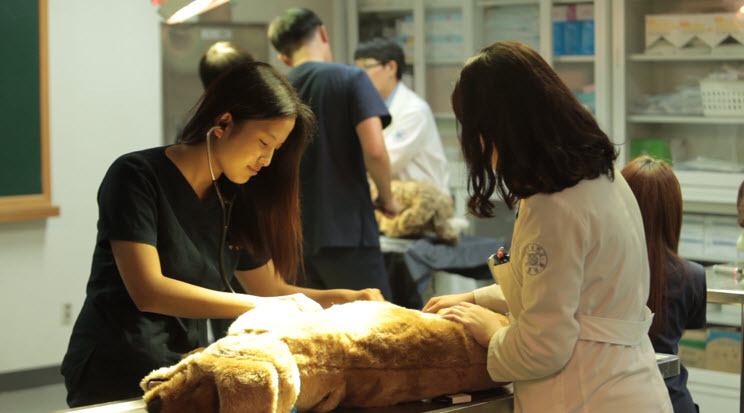 Professor Woo Hee Jong of the Lab of Veterinary Immunology emphasizes the importance of caring for animals during their ‘golden time,’ referring to the period immediately following a traumatic injury. Receiving treatment during this time provides the best chance at preventing death. Until now, the emergency center has only been accessible in certain circumstances. Keeping the center open around the clock will further increase these animals’ chances at survival. The College of Veterinary Medicine is currently recruiting teachers to educate its staff and plans to complete the education course by next year. The school is also planning on including emergency care as a part of the undergraduate curriculum.